Replace the standard print method for functions with one that performs syntax highlighting, using ANSI colors, if the terminal supports them. 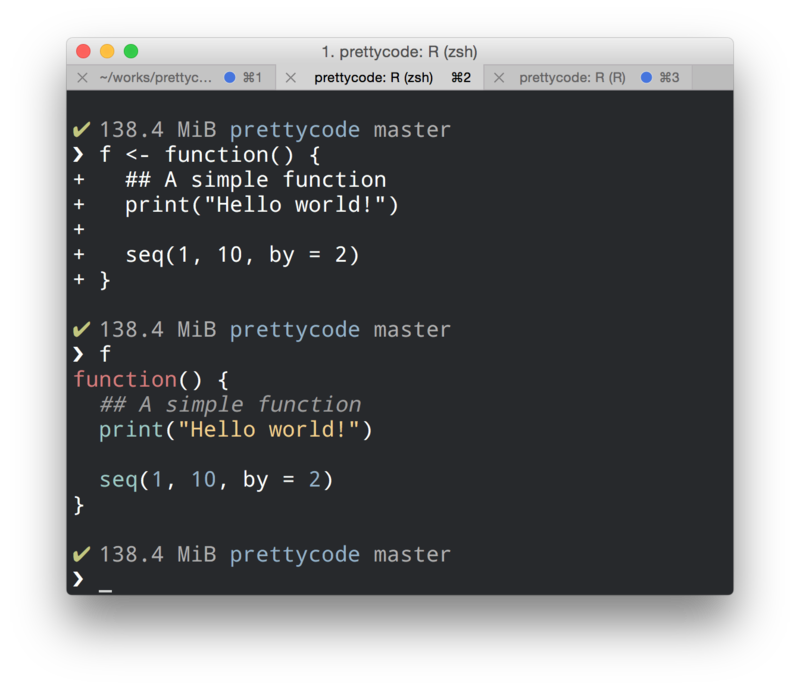 Just call prettycode::prettycode() and start printing functions to the screen. Long functions are automatically paged using the default pager. Add prettycode::prettycode(). Call this function to turn on pretty-printing of function objects. This is needed to work around the new S3 method search limits in R 3.5.x. If prettycode fails to highlight a function, it falls back to base::print.function() now (#3).